Gamers looking forward to the new Battlefield 5 first person shooter launch later this month are sure to enjoy this brief look at the eight multiplayer maps that will be available at launch. Check out the three minute teaser trailer below for an overview of each. 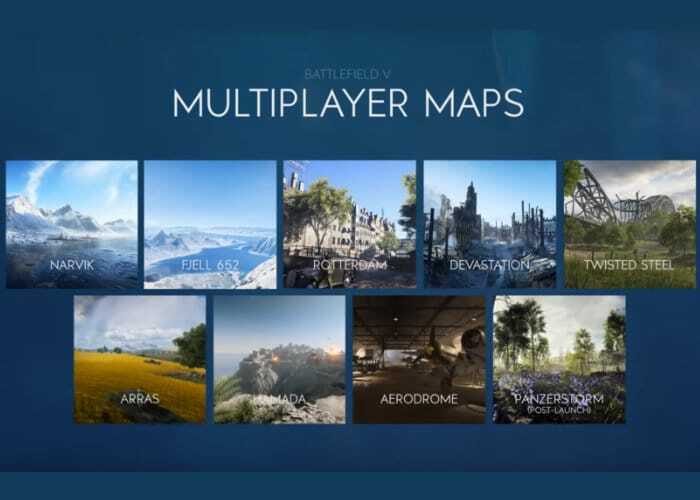 The 8 Battlefield 5 multiplayer maps take the form of Aerodropme, Fjell 652, Arras, Narvik, Rotterdam, Devastation, Hamada and Twisted Steel. For more details on each of the maps jump over to the official Battlefield V news site by following the link below.